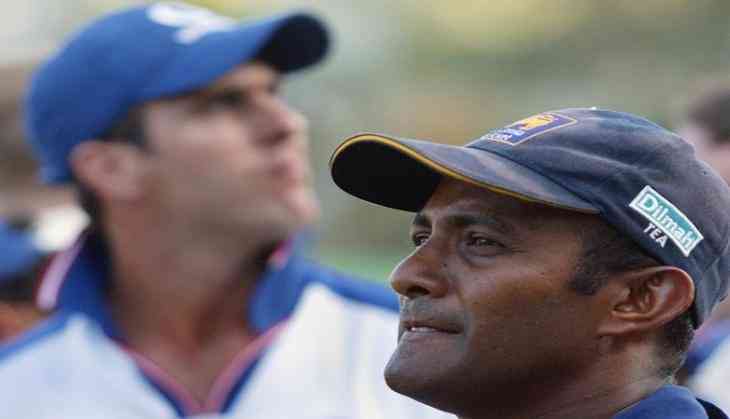 The Sri Lanka cricket team have roped in former batsman Hashan Tillakaratne as their temporary batting coach for the upcoming series against India. India's tour of Sri Lanka will feature A three-match Test series, five-match ODI series and a lone T20 match, beginning July 26 at the Galle. The team has been without a permanent head coach after Graham Ford stepped down from the position following an unsuccessful Champions Trophy campaign. Reflecting on his appointment, Sri Lanka Cricket manager Asanka Gurusinha revealed that Hashan has been associated with the team since the recent series against Zimbabwe, before expressing confidence that the former cricketer's experience would be beneficial for the team. "Hashan has been with us since the recent Test match against Zimbabwe, actually," Sport24 quoted Gurusinha as saying. "At this stage, for all the Tests he will be batting coach. Most probably after the Indian series we'll discuss with coach Nic Pothas and see what's happening from there. With all his experience, there is a lot the batsmen can learn from him," he added. Last week, former paceman Chaminda Vaas joined the team as the specialist fast bowling coach for the upcoming series against the Virat Kohli-led side. Hashan notched up a total of 4545 runs in 83 Tests he played for Sri Lanka between 1989 and 2004. The former Sri-Lankan captain, who was also a part of Sri Lanka's World Cup winning team in 1996, also amassed 13,253 runs at an average of 49.26 in his first-class cricket career that stretched over 21 years.